Starting of 1997, Telecommunications and Radio Engineering embarks on publishing English translations of papers by Ukrainian authors. The reason is the outstanding place that belonged to Ukrainian science in the former USSR and the fact that upon proclamation of its independence Ukraine has retained many of the research and academic institutions and defense science organizations that used to be leaders of Soviet research and development. Much of the research materials of interest have not been published at all or were earlier presented in Russian-language departmental publications of limited circulation. These have until now remained unknown to the Western reader. Among the institutions continuing radio scientific research in Ukraine are the Institute of Radio Physics and Electronics, the Institute of Radio Astronomy with its unique HF radio telescope, the Technical University of Radioelectronics in Kharkov, and Electric/Radio Engineering and Radio Physical departments in other universities. At one time Ukraine accommodated a few military colleges and academies of radio electronic orientation that acquired highest repute in the USSR. One of those was the Govorov Radio Engineering Academy of Artillery in Kharkov. The Ukrainian scientists have conducted large-scale projects aimed at theoretical and experimental research of radio wave propagation at a variety of wavelengths in the troposphere, ionosphere and near-earth space. The efforts were concentrated on long range propagation mechanisms, including troposcatter and ducting, climatic parameters in UHF propagation over the sea, and ionospheric propagation. The result of these projects was the development of radio physical remote sensing techniques applicable to the sea surface, the ionosphere and other environments. Fundamental contributions have been made to the theory of radar, development of close-, long- and very long range radar systems, optimum signal processing, antenna theory and applications, and vacuum and solid-state electronics. Important results have been obtained in radio astronomy, theory and practice of radio communication and protection against interference. New components have been designed for millimeter and submillimeter wavelength systems. Components and units for quasioptical complexes and the corresponding measuring devices have been developed to cover a frequency range up to 3000 GHz. This list of achievements can be completed with millimeter wavelength radars, submillimeter wave diagnostic complexes for sounding high temperature fusion plasmas, and new microwave simulation techniques of radio wave scattering by complex geometries. 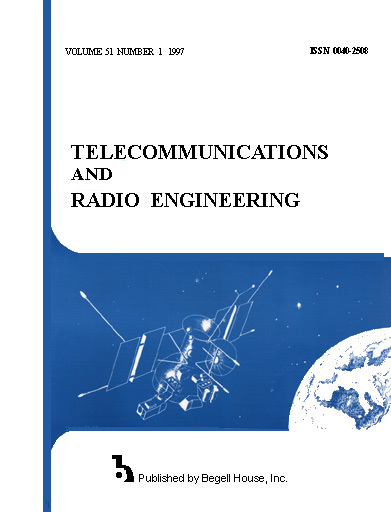 Therefore, along with translation of recent original papers, the Editor plans publishing reviews of different fields of modem radio science prepared specially for Telecommunications and Radio Engineering. The Editorial Board cherishes hope that such reviews, largely based on the results previously not published in English, will be received with interest.